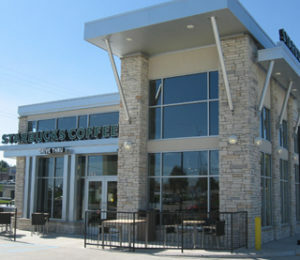 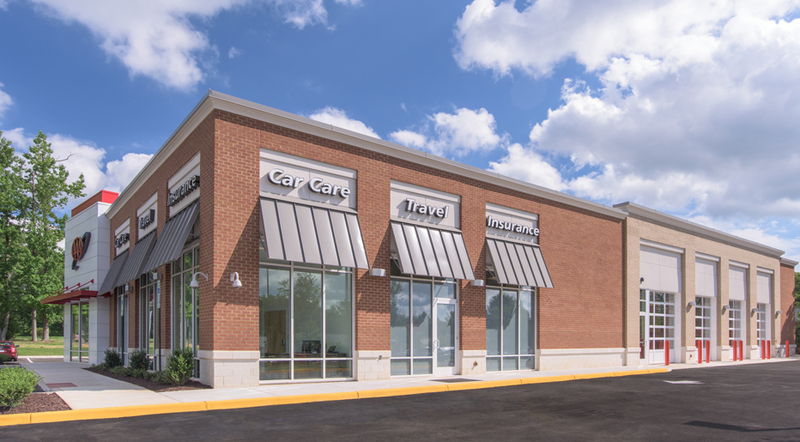 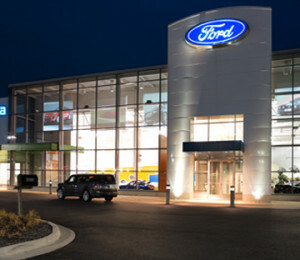 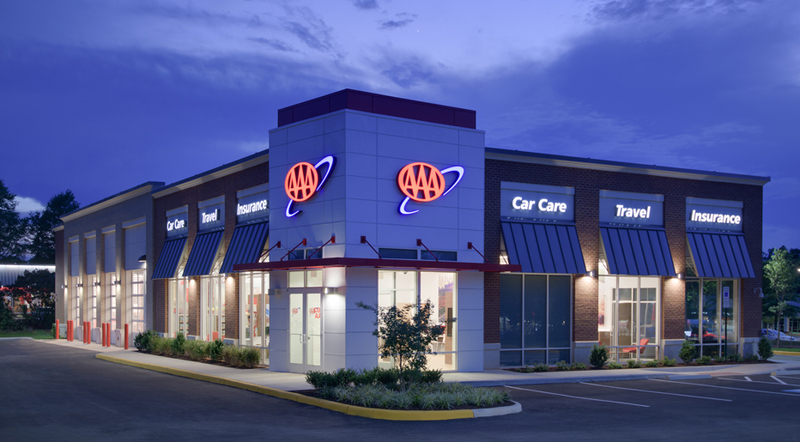 Beginning with a few regional car care centers in 2005, Progressive AE has since designed more than 150 projects for AAA clubs across the US and Canada. 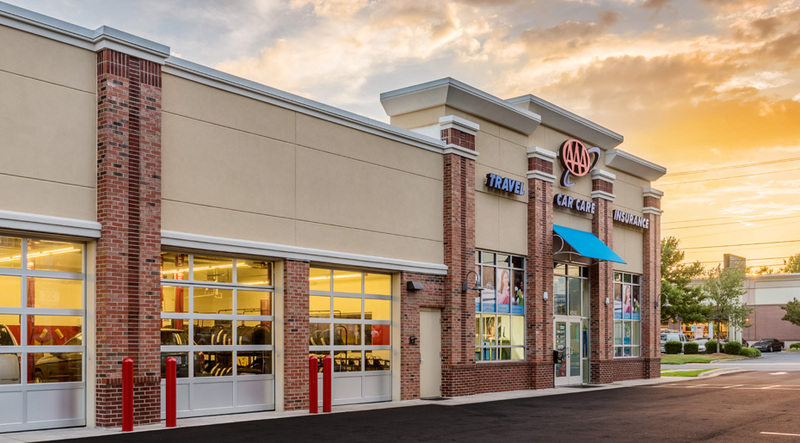 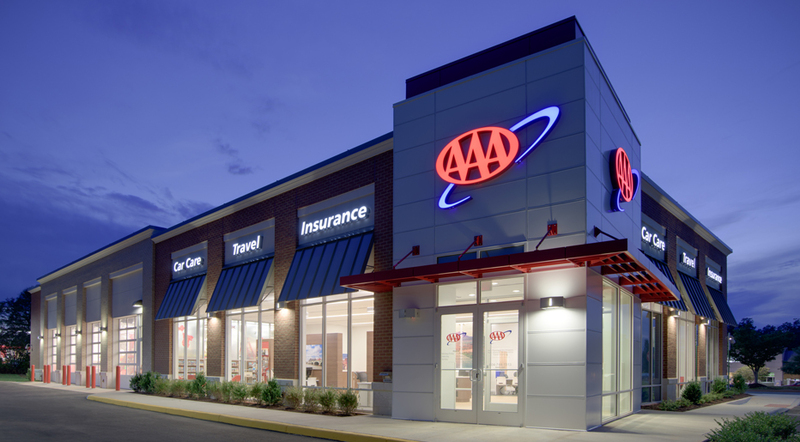 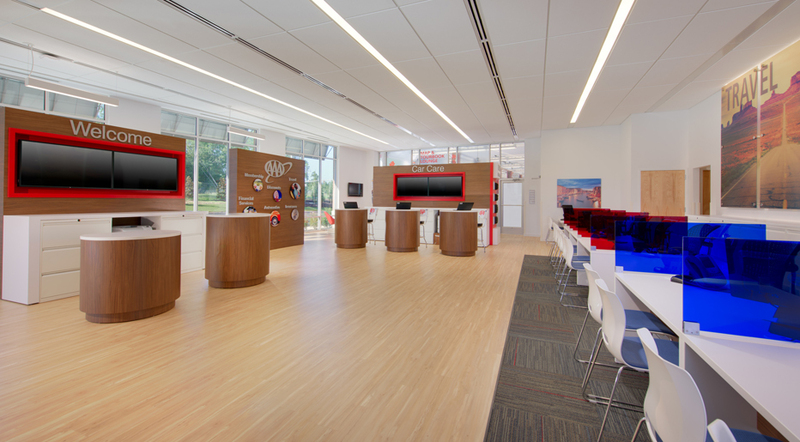 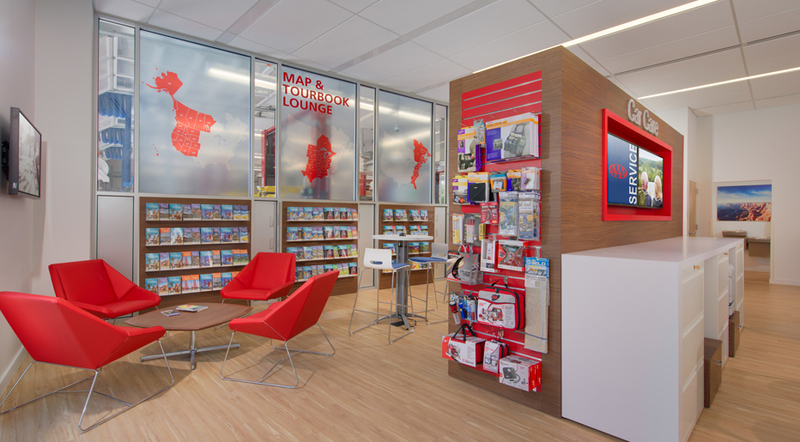 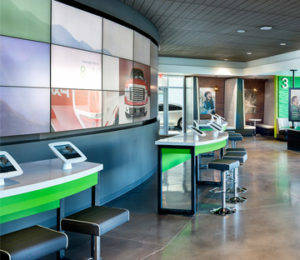 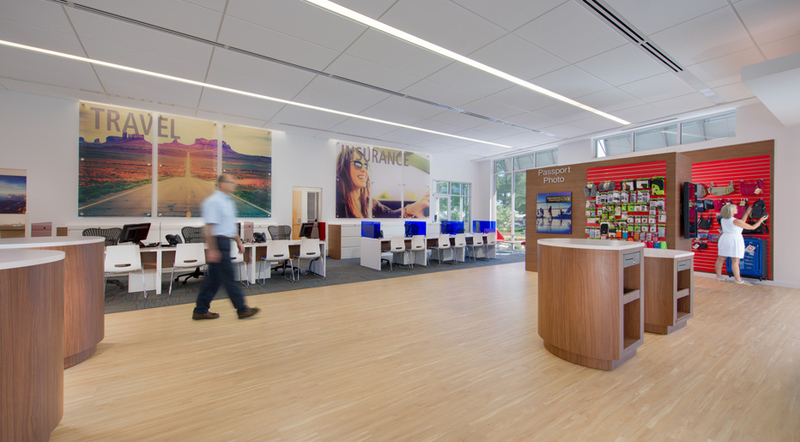 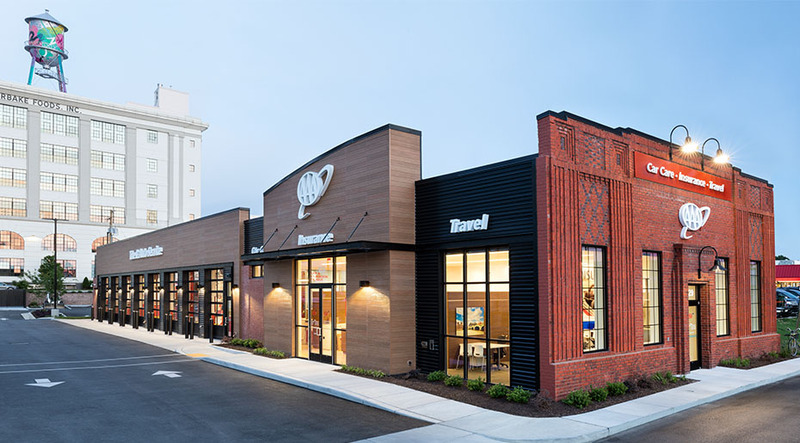 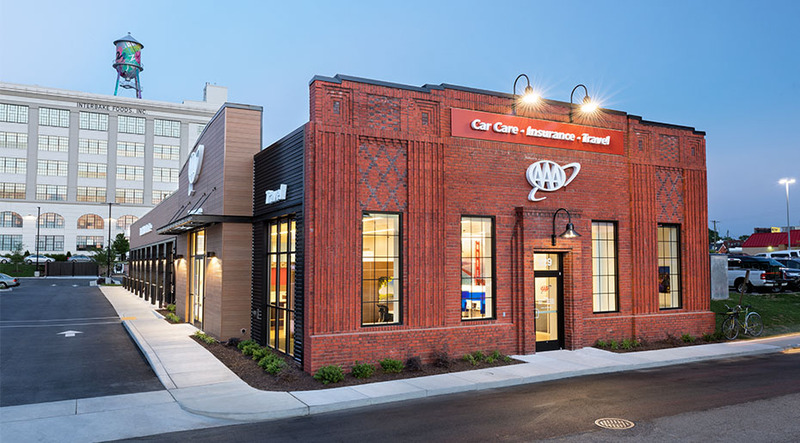 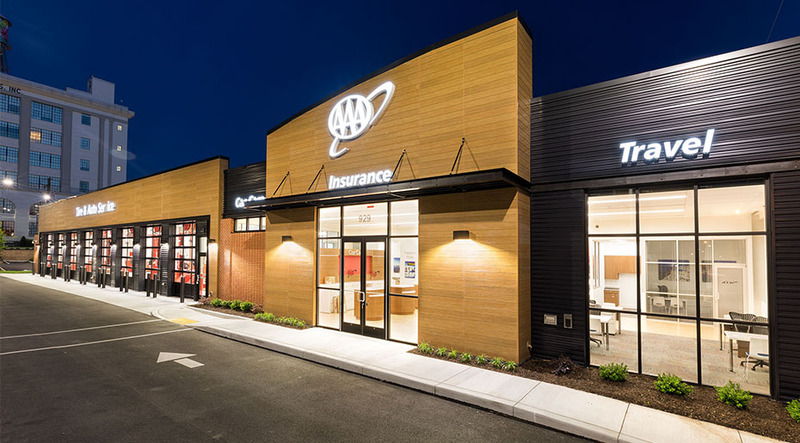 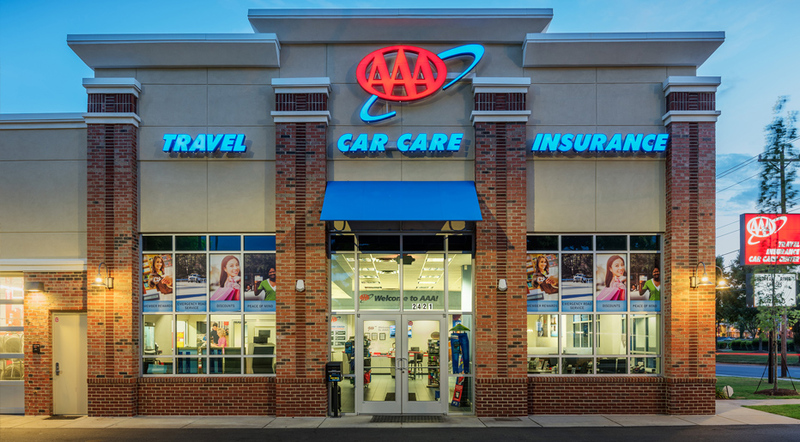 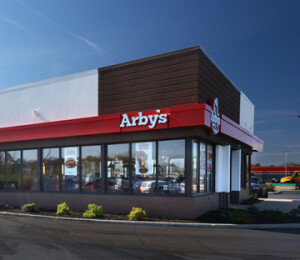 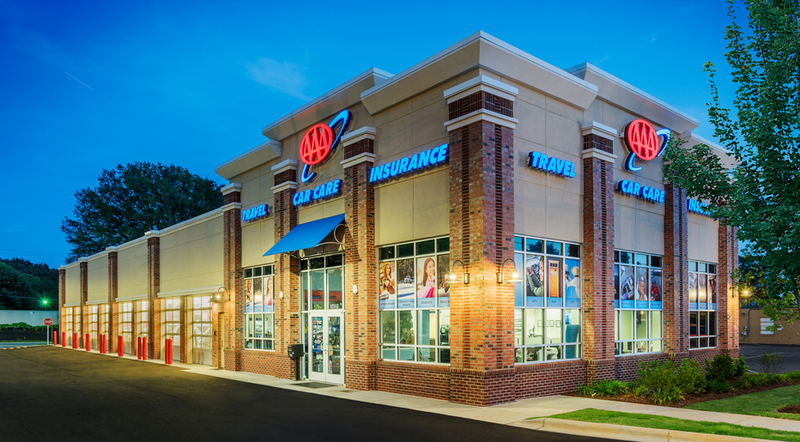 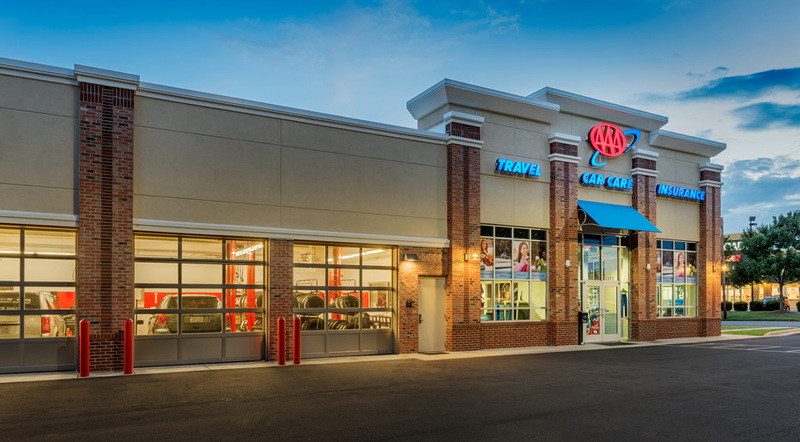 The AAA brand is well known for its history of customer-centric services, so every travel, car care, and insurance center design prioritizes customer comfort and relationships without sacrificing the operational efficiency that has made the company so successful. 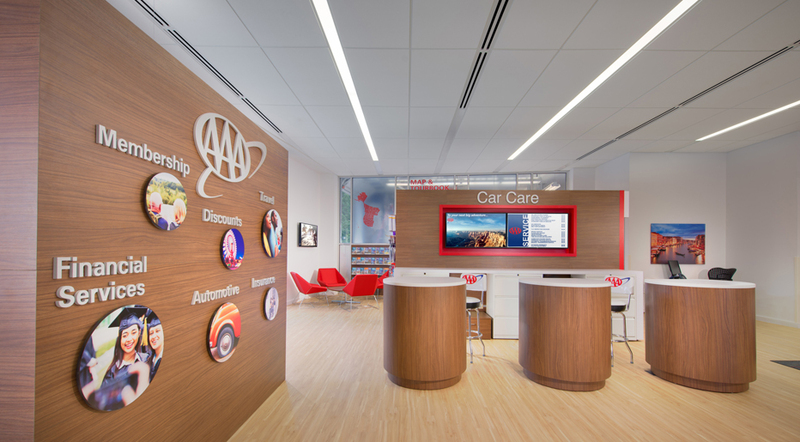 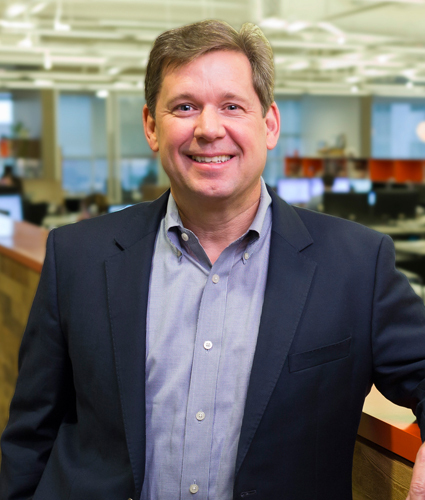 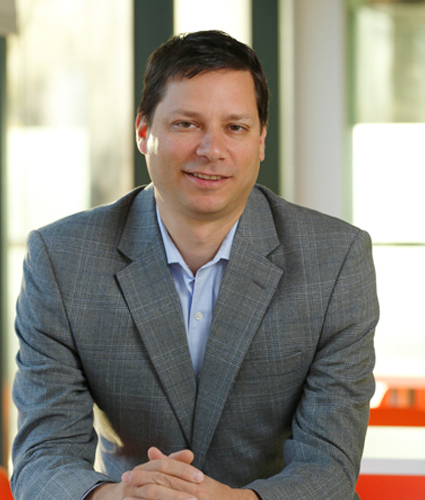 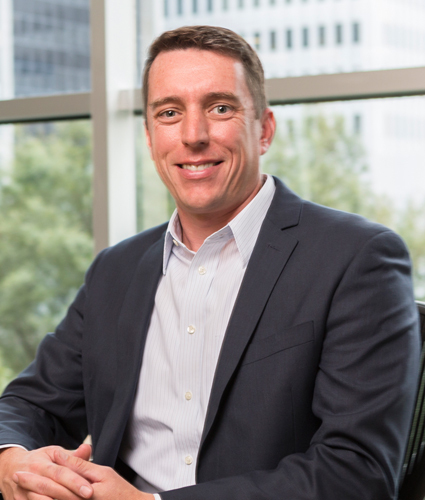 The new prototype design for the AAA Mid-Atlantic club, rolling out in 2015, is designed for the modern customer – increasingly tech-savvy and quick to detect and dismiss the inauthentic. 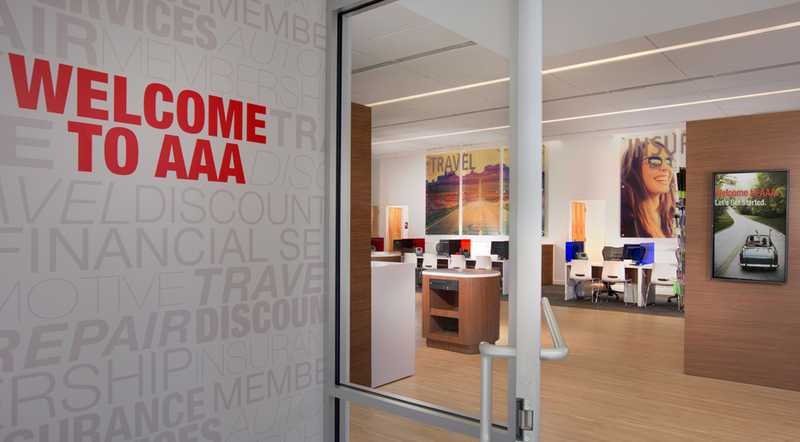 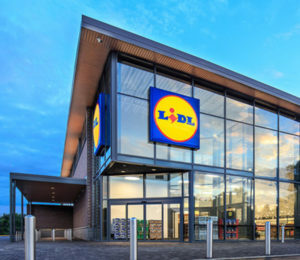 By taking an immersive, lifestyle-based design approach in the store and graphics package, we hope to make the customer feel like an active agent in their AAA experience – a participant rather than a passive spectator – and invite them to stay and engage with the brand longer.